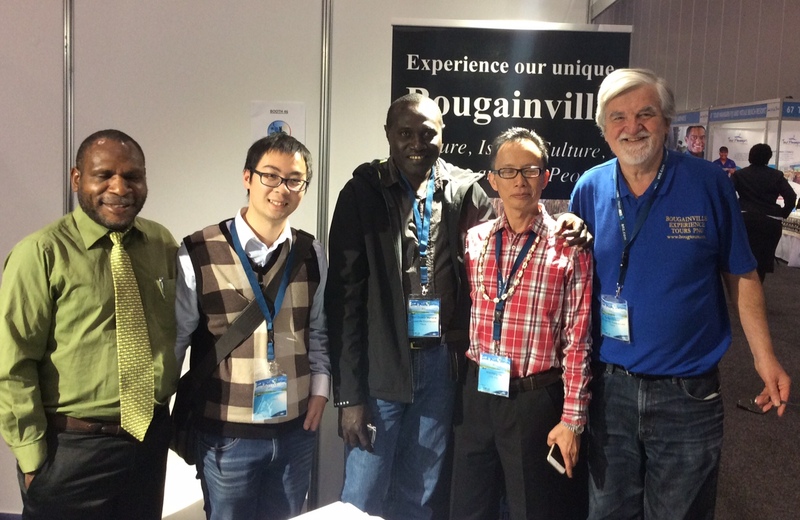 International tourism Buyers (travel agents and wholesalers) interested in sending visitors to Bougainville PNG have given the recent South Pacific Tourism Exchange (SPTE) 2015 and especially Bougainville as a future growing tourism destination the ‘thumbs-up’ after two-days of successful business-to-business meetings at the Melbourne Convention and Exhibition Centre . Tour operators, hotel and accommodation providers as well as National Tourism Offices from 16 Pacific Island Countries converged into Melbourne with over 60 international buyers from the traditional source markets of Australia and New Zealand to the emerging long haul markets of the United States, China and Europe to conduct business and networking. 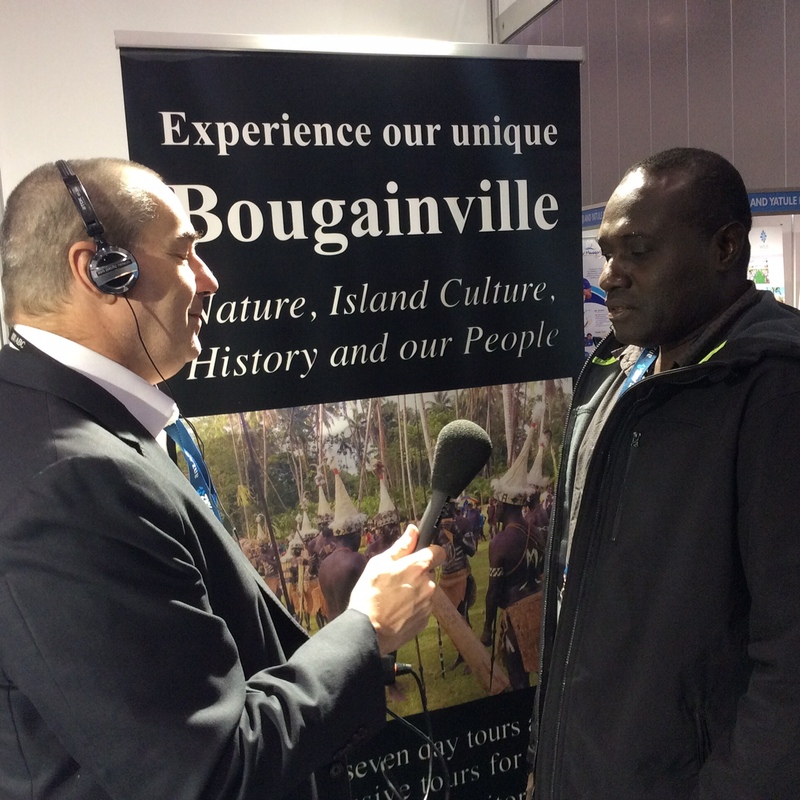 Zhon Bosco Miriona, Managing Director of Bougainville Experience Tours for second time in the past year was able to represent Bougainville on the world stage supported by Colin Cowell an International media and tourism consultant with over 25 years’ experience marketing Indigenous tourism. Mr. Miriona said without the help of Bougainville small business and other sponsors and supporters (see list below) I would not have been able to attend this important but expensive international marketing opportunity for Bougainville. Mr Miriona stated SPTE 2015 was bigger than initially anticipated and the large number of buyers and sellers at this year’s event is indicative of the growing interest in the Pacific region’s only tourism exchange. “The overwhelming response to SPTE 2015 from both the buyers and sellers has contributed to its success! Our PNG team worked especially hard to ensure that the quality of buyers from our international markets would add value to the exchange, especially for our regional member areas like Bougainville. 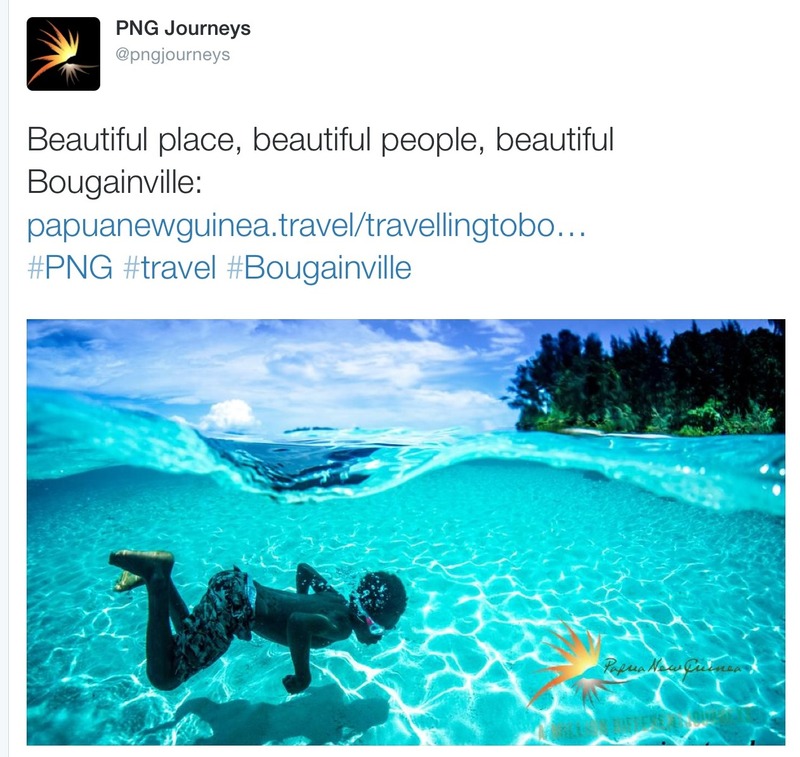 The PNG Tourism Promotion Authority and Colin Cowell have been a fantastic support developing Bougainville tourism over the past few years. 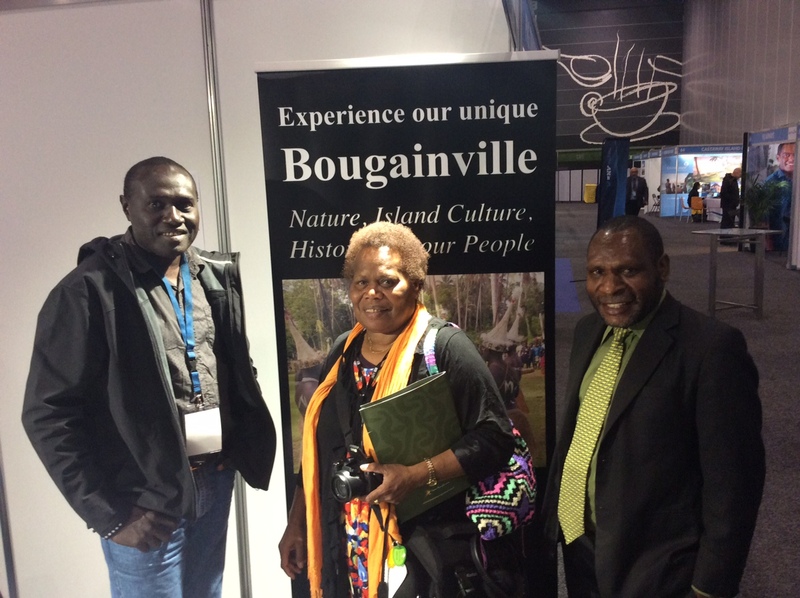 I am pleased to say that with all this support Bougainville does have a bright future” Mr. Miriona added. Mr Miriona went on to say that the major problem that Bougainville cultural tourism has is that the Bougainville Government cannot guarantee funding or dates for the many festivals or events that occur each year throughout the island such as Mona and the Reeds Festival . Turis bisnis opereta long Bougainville Zhon Bosco Miriora i tok Bougainville wantaim olgeta hap blong Papua New Guinea igat bikpela potensal oa samting long divelopim sait long turis. 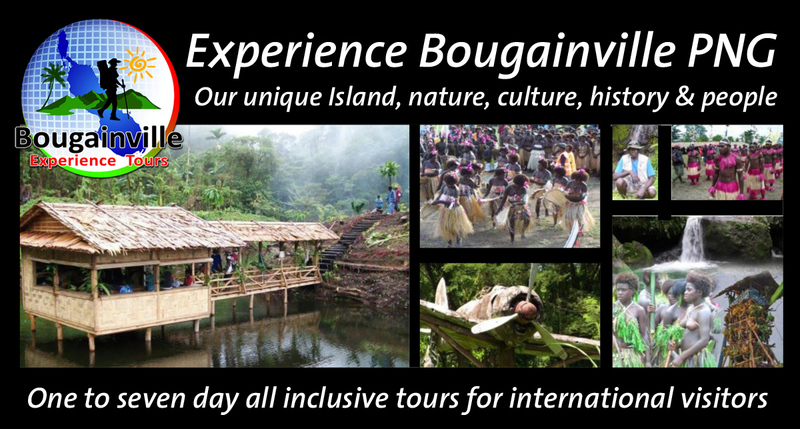 Mr Miriona papa blong Bougainville Experience Tours i tok ol klinpla environment, pasin tumbuna na ol pisin long ol bikbus inap pulim planti turis igo long Auttonomous rijan blong Bougainville. Mr Miriona ibin stap long South Pacific Tourism Exchange sho emi bin kamap hia long Melbourne long wik igo pinis. Planti turisam laen blong olgeta hap blong Pacific ibin stap long despla bung em Australia Tourism na South Pacific Tourism Organisation ibin ronim. Mr Miriona itok gutpla environment emi nap helpim ol pipal i kisim moni nau na long bihaen taem. Bisnis blong Mr Miriona i save stretim rot blong ol turis i go long ol ship na balus long go wokabaut long Bougainville. List of Lodges, corporates and individuals who attended and donated for the fundraising for BET rep to attend the 2nd South Pacific Tourism Exchanges in Melbourne Australia.